Dr. Adami is Professor for Microbiology and Molecular Genetics & Physics and Astronomy at Michigan State University in East Lansing, Michigan. As a computational biologist, Dr. Adami’s main focus is Darwinian evolution, which he studies theoretically, experimentally, and computationally, at different levels of organization (from simple molecules to brains). 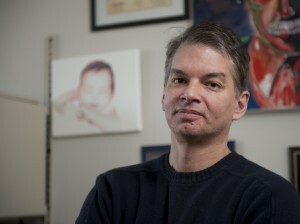 He has pioneered the application of methods from information theory to the study of evolution, and designed the “Avida” system that launched the use of digital life (mutating and adapting computer viruses living in a controlled computer environment) as a tool for investigating basic questions in evolutionary biology. He was also a Principal Scientist at the Jet Propulsion Laboratory where he conducted research into the foundations of quantum mechanics and quantum information theory. Dr. Adami earned a BS in physics and mathematics and a Diplom in theoretical physics from the University of Bonn (Germany) and MA and PhD degrees in physics from the State University of New York at Stony Brook. He wrote the textbook “Introduction to Artificial Life” (Springer, 1998) and is the recipient of NASA’s Exceptional Achievement Medal. He was elected a Fellow of the American Association for the Advancement of Science (AAAS) in 2011 and a Fellow of the American Physical Society in 2017. 159. A. Tehrani-Saleh and C. Adami, Can Transfer Entropy Infer Causality in Neuronal Circuits for Cognitive Processing?” [arXiv] Submitted to ISIT 2019. 158. A.C. Pontes, R.B. Mobley, C. Ofria, C. Adami, and F.C. Dyer, The Evolutionary Origin of Associative Learning. Am. Nat., in review. 155. T. LaBar and C. Adami, Genome Size and the Extinction of Small Populations. [BioRxiv], to appear in “Evolution in Action – Past, Present, and Future: A Festschrift in Honor of Erik Goodman’s 75th Birthday” (Springer-Verlag, 2019). 152. J. Franklin, T. LaBar, and C. Adami, Mapping the Peaks: Local Fitness Landscapes of the Fittest and the Flattest. [BioRxiv] Artificial Life 25 (2018). 151. A. Tehrani-Saleh, T. LaBar, and C. Adami, Evolution Leads to a Diversity of Motion-Detection Neuronal Circuits In: Proceedings Artificial Life 16, T. Ikegami, N. Virgo, O. Witkowski, M. Oka, R. Suzuki and H. Iizuka, eds. (MIT Press, 2018). [arXiv]. 150. A. Hintze, D. Kirkpatrick, and C. Adami, The Structure of Evolved Representations Across Different Substrates for Artificial Intelligence. In: Proceedings Artificial Life 16, T. Ikegami, N. Virgo, O. Witkowski, M. Oka, R. Suzuki and H. Iizuka, eds. (MIT Press, 2018). [arXiv]. 149. C. Adami and A. Hintze, Thermodynamics of Evolutionary Games. Phys. Rev. E 97 (2018) 062136 [Journal] [arXiv]. 146. S. D. Chapman, C. Adami, C.O. Wilke, and Dukka B. KC, The Evolution of Logic Circuits for the Purpose of Protein Contact Map Prediction. PeerJ 5 (2017) e3139. [Article]. 135. R.S Olson, A. Hintze, F.C. Dyer, J.H. Moore, C. Adami, Exploring the Coevolution of Predator and Prey Morphology and Behavior. In: Proceedings Artificial Life 15 (C. Gershenson, T. Froese, J.M. Sisqueiros, W. Aguilar, E.J. Izquierdo, H. Sayama, eds.) MIT Press (Cambridge, MA, 2016), pp. 250-258. [Article] [PDF]. 127. A. Gupta, C.T. Brown, Y. Zheng, and C. Adami, Differentially-Expressed Pseudogenes in HIV-1 Infection. Viruses 7 (2015) 5191-5205. [Journal] [PDF]. 45. C. Adami. Simulations of Evolution. In: Encyclopedia of Evolution, M. Pagel, S. Frank, C. Godfray, B. K. Hall, K. Hawkes, D. M. Hillis, A. Kodric-Brown, R. E. Lenski, and A. Pomiankowski, eds., (Oxford University Press, New York, 2002), pp. 1064-1066. 17. N.J. Cerf and C. Adami. Quantum Information Theory of Entanglement. In: Proc. 4th Workshop on Physics and Computation, Boston Univ. Nov. 22-24, 1996. T. Toffoli, M. Biafore, and J. Leao, eds. (NECSI, 1996), p. 65-71. 10. C. Adami. On Modeling Life. Artificial Life 1 (1994) 429. [PDF]. Also in: Proc. of “Artificial Life IV”; MIT July 6-8, 1994, R. Brooks and P. Maes, eds., MIT Press (1994) p.269-274. 1. Introduction to Artificial Life (Springer-Verlag, 1998). 2. Non-Standard Computation by T. Gramß et al. (Wiley-VCH, Weinheim, 1998) Physikalische Blätter (4/1999) 66. 1. Modeling Nature with Cellular Automata using Mathematica by R. Gaylord and K. Nishidate (Springer Verlag, TELOS) SIGSAM Bull. 30/3 (1996) 24. 4. N.J. Cerf and C. Adami. Quantum Mechanics of Measurement. quant-ph/9605002. [Arxiv.org]. 6. C. Adami and H.G. Schuster. Driving Molecular Evolution to the Error Threshold. KRL preprint MAP-208 (December 1996). 9. C. Adami and H.G. Schuster. Optimal Speed of Molecular Evolution. January 2000. 14. M. Mirmomeni, W.F. Punch, and C. Adami, Is Information a Selectable Trait? [arXiv].